Health teaching apps are helpful companions in patient education. Everyone has different learning styles and the typical one-on-one talk may not be enough to fully cover your health teaching plan. As resourceful and flexible nurses, we can take advantage of the modern technology we have nowadays. 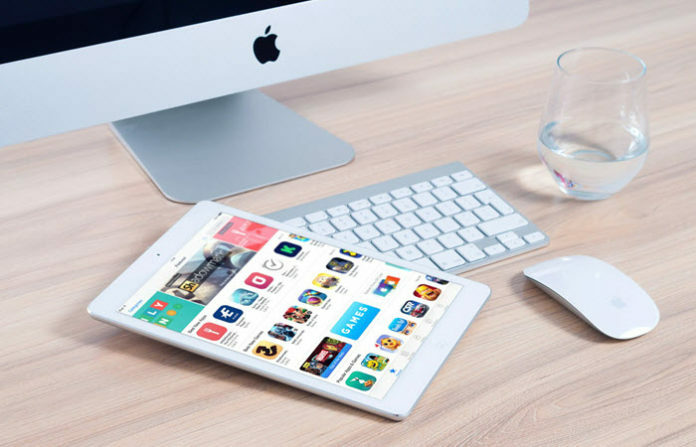 Almost everyone is familiar with smartphones and tablets. We can use this trend as a strategy for effective health teaching, through using apps. Hand washing is the most important hygienic practice for kids. By learning the importance of washing their hands regularly, kids will have less likelihood of catching infections and illnesses. But the problem – kids don’t know when and how to wash their hands. With help from Ella’s Hand Washing Adventure, kids will learn when and how to wash their hands. The app is interactive and visually appealing. 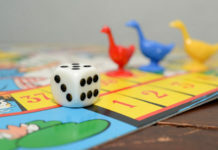 It features the typical places where kids spend most of their time so they can correlate the presented situations with their own place. Patients diagnosed with diabetes for the first time often feel that they have tons of information to learn. It’s not enough to teach them in one sitting as they may feel overloaded with information. MySugr Diabetes Logbook is helpful for this problem. It is the one-stop app for diabetics especially for those who are just newly diagnosed. It has several tabs for recording physical activity, meals and blood sugar levels. The app generates analysis based on recorded entries so diabetics can better understand their condition. Aside from using it for health teaching, you can also recommend the app for diabetic management at home. 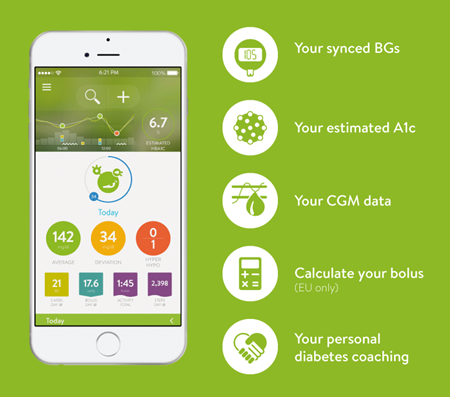 Feedback from users is great and they are able to control their blood sugar levels with the help of the app. Visual Anatomy is one of the most practical health teaching apps around. It contains simple anatomical illustrations of the human body. The illustrations are 3D rotational models complete with labels and descriptions. The app is useful in explaining surgical procedures and postoperative care plans to patients and their family. Since the anatomical illustrations are detailed, you can pinpoint areas of concern and explain the procedures in simpler terms. This way, the patient can visualize the changes that will happen in his body so he can better understand the extent of his upcoming surgical procedure. The parts of the human body included in this app are pretty basic. For more complex surgical procedures, the included body parts in the app may not be enough. For more detailed illustrations and additional organs, a complete version of Visual Anatomy is available for a couple of dollars. Pregnancy is a wonderful period in the lives of women. 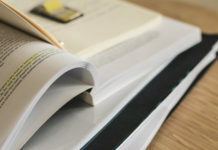 Those who are pregnant for the first time often have many questions about their condition and nurses play an important role in educating them. With the help of the Pregnancy + app, you can provide health teaching to expecting mothers in an easier way. Pregnant women can install it and check whenever they have any pregnancy related question in their mind. The app can also serve as a tracking logbook for expecting mothers as they progress through their pregnancy. 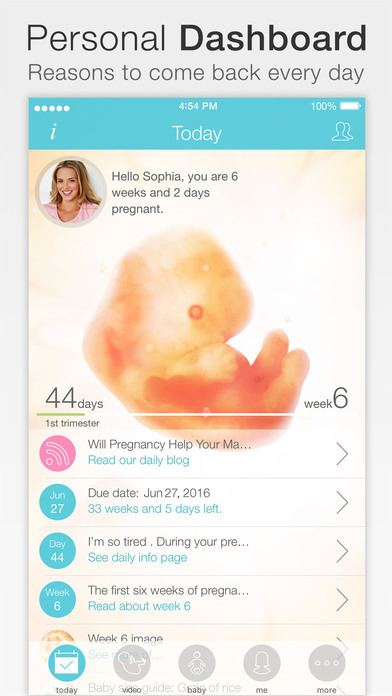 The app is rich with images and information about pregnancy and the unborn baby. To unlock all features, a paid version is available for a couple of dollars. Preparing new parents for their baby involves lots of reminders and instructions. Some of the basic topics you need to cover include feeding, pumping, medications, immunizations, follow-up checkup, and many more. 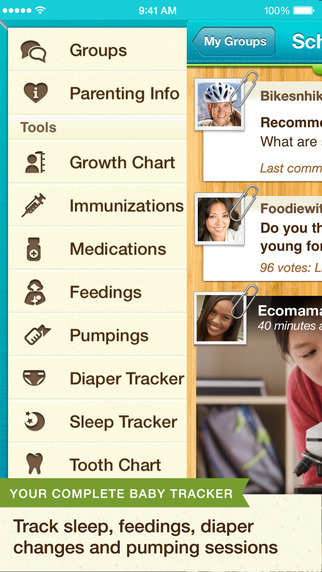 Fortunately, there is an app that looks like a baby book made for new parents. With KidFolio Baby Tracker, parents can monitor and track the growth and development of their baby. The app is packed with illustrations and information about child growth and development. It even includes a tooth tracking chart which is useful to be shown during baby’s pediatrician visits. The FollowMyHealth app is used by most clinics for their patients’ universal health record. Aside from being a health teaching tool, it also serves as the communicating portal of patients for other healthcare providers. Usage of the app improves patient’s adherence to healthcare plans and promotes easier access to healthcare services. Through the app, the patient can view his test results, ask questions from his physicians, schedule clinic appointments, and request for prescription renewals just to name a few. It can also manage healthcare bills. With the help of the app, patients can have better control over their healthcare plan. It’s tricky to teach about fertility and ovulation for women considering pregnancy or natural birth control method. 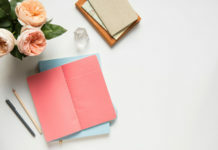 A lot of topics needs to be covered like menstrual cycles, vaginal discharge changes, and body temperature. With the Kindara app, health teaching about reproductive health will be easier through its informative menstrual tracker calendar. The app can generate graphic analysis and interpretation of data from entries made by the app user. 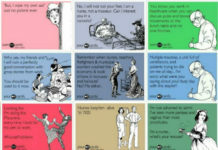 Nurses will find this app useful and advisable for patients having difficulties in understanding their menstrual cycle. 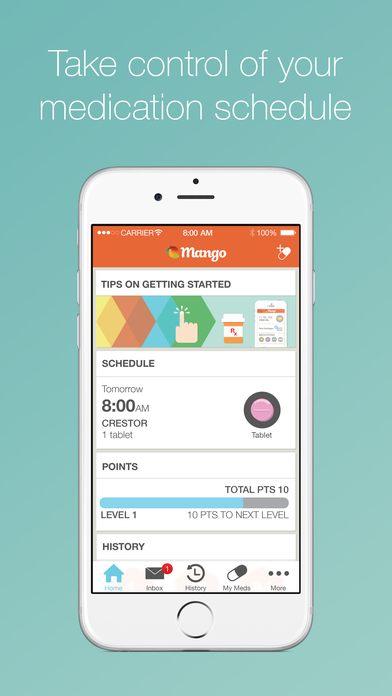 Mango Health is an info-packed medication manager and pill reminder. Recommending the app to patients under multi-drug therapy is beneficial in ensuring adherence to treatment plan. 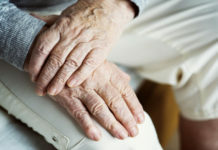 The app is especially helpful for forgetful or older patients. Aside from an intuitive medication manager and pill reminder alarm, Mango Health also contains information about harmful food and drug interactions. It’s hard for patients to remember all the do’s and don’ts in medication intake so this function will be practical for them. The app also helps users in recording their pill intake to avoid skipping or taking double the dosage. We always have our smartphones in hand so using health teaching apps to aid in patient education is not as hard as it appears. With a few clicks and swipes, you can catch your patient’s attention and be effective in educating them.